Whether you're considering hiring a wedding car and not sure what the options are, or uncertain about having a special vehicle for your wedding day, then this blog is for you. Here I share some of my favourite wedding vehicle suppliers as well as some tips on how to choose the right kind of transport for your special day. Because I was using multiple venues for my wedding day, having a car that would take me, sorry us, to each location was a must. I didn't have my heart set on any particular vehicle, but I knew the distances we'd need to travel and that some modes of transport just wouldn't be appropriate - a horse and carriage will only go so far at such a speed and no big roads! We ended up choosing a Rolls Royce Silver Shadow and I have to say I don't regret going for stylish and comfortable, and our driver was amazing. Plus, the ride with my dad was lovely and because I was ready early our driver took us on a detour, so I got a longer trip with him! I felt like the queen as our neighbours were watching us drive past and people waved (do people still do that to wedding cars?). Who should you use for your wedding vehicle? Should you go high end or super car? There are also higher end cars available for self-drive hire, or if you've got lots of people to transport there are stretch limos/hummers, or maybe a route master bus is more your thing. A word of warning for some limos and super cars, beware of speed bumps, as these vehicles won't go over the bigger ones. It's best to limit use of these types of car to main roads only. Check with your vehicle company if they have any restrictions like mileage, ground clearance, rough surfaces, etc. The main thing to remember with all the options is how far they can travel and if there are any access restrictions. It's not just a horse and cart that can only go short distances, high end sports cars are notorious for being gas guzzlers so that needs to be factored in if you hire one. Campers can also be a bit tricky for longer distances and some providers will only do so many miles, so you need to check. In terms of access think about any narrow passages, or height barriers/bridges, tight turns that might be impossible for longer/wider vehicles. Another point to bear in mind is how many pick-ups and drop-offs you need your driver to do, or how tight your timescales are. If you have more than two pick-ups/drop-offs, you'd be better off considering a second or bigger vehicle or you could end up having to send your bridesmaids off an hour earlier than necessary. Likewise if you've got a fair distance to travel between where you're staying and where your ceremony is, etc: think bigger, think multiple, it'll save a lot of stress on the day with traffic jams, etc. What will a chauffeur do for you? A chauffeur will look after you and make you feel special. You may be offered a little glass of something for your trip/s. They also know how to work with photographers and venues, finding the best locations for parking so that you get the best photos with your vehicle. A good driver will know to keep an eye on current road conditions, whether that's traffic or road works or even how the weather has affected a planned route. They should be able to make necessary changes to the route and timetable. Trust their judgement. Fashionably late is one thing but registrars, vicars, etc can only hold on for so long before they have to call things off. However, if like me you're running ahead of time you might get a bit of a detour fitted in for fun. Enjoy the ride! What if your wedding budget is tight? If your budget is tight another option to consider is, who do you know with a nice car? It's a great way to involve a family member or friend, they might make it their wedding gift to you. It can be great fun being driven by someone you know, but bear the above points in mind (ie speed bumps, access, etc). And don't forget to thank them! 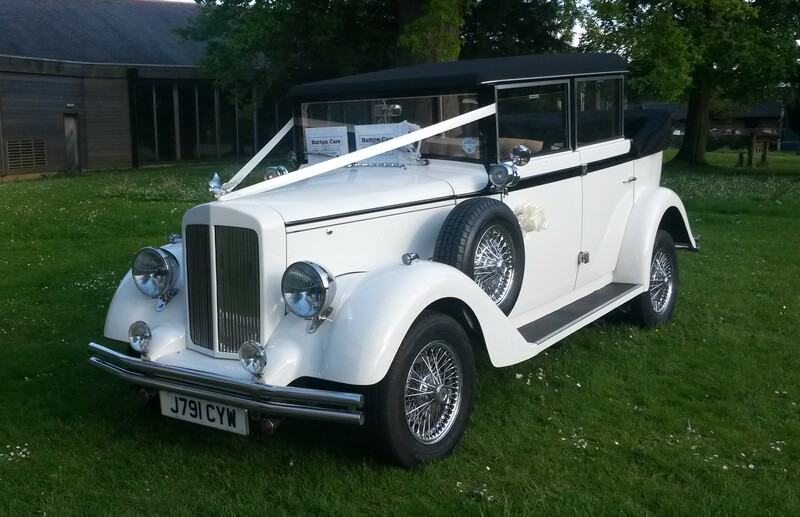 If you're only going to be chauffeured around the once it might as well be on your wedding day! If you're already married what did you do, and would you do the same again, or opt for something else?